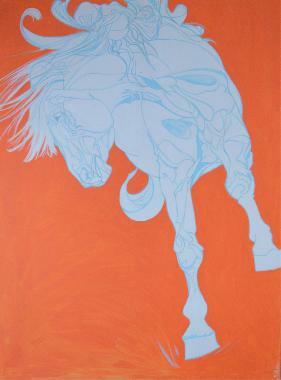 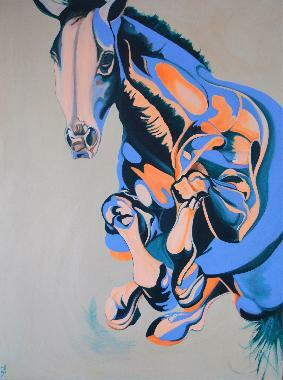 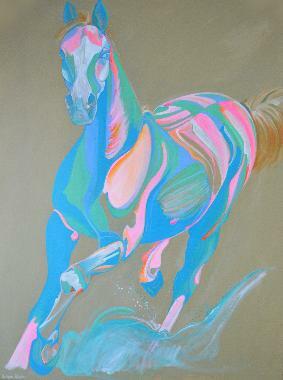 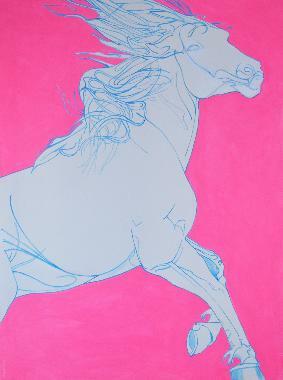 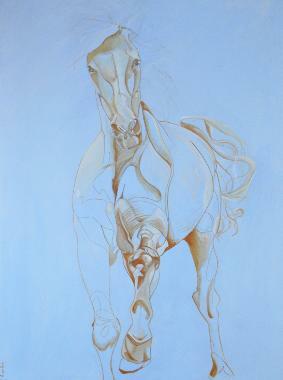 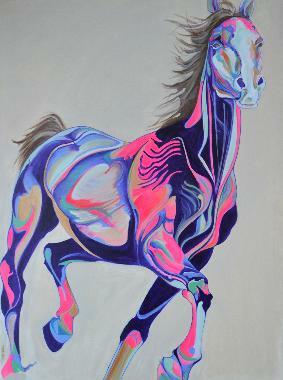 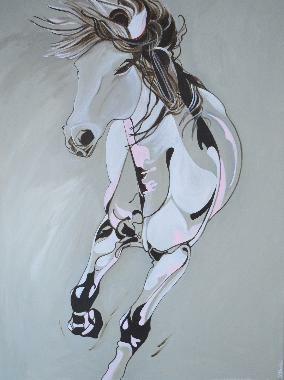 Yaheya’s psychedelic colour palette is bold and vibrant and is used to portray the energy of the horse. 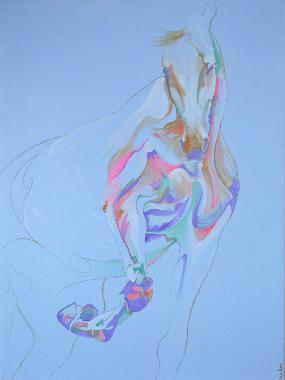 Drawing is an integral part of her research and study, forming the foundation of this body of work. 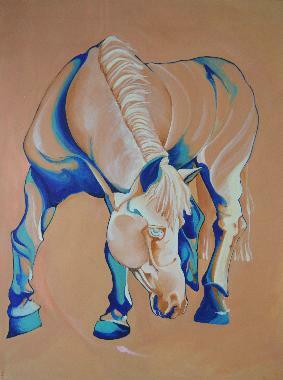 She has spent time with the horses whilst they were being trained, working and resting. 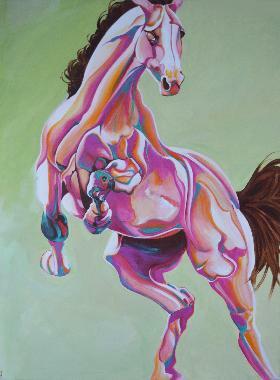 This gave her an understanding of their physique through movement and their individual personalities.